"Florence Ice - Icing the trains"
M.U.D. 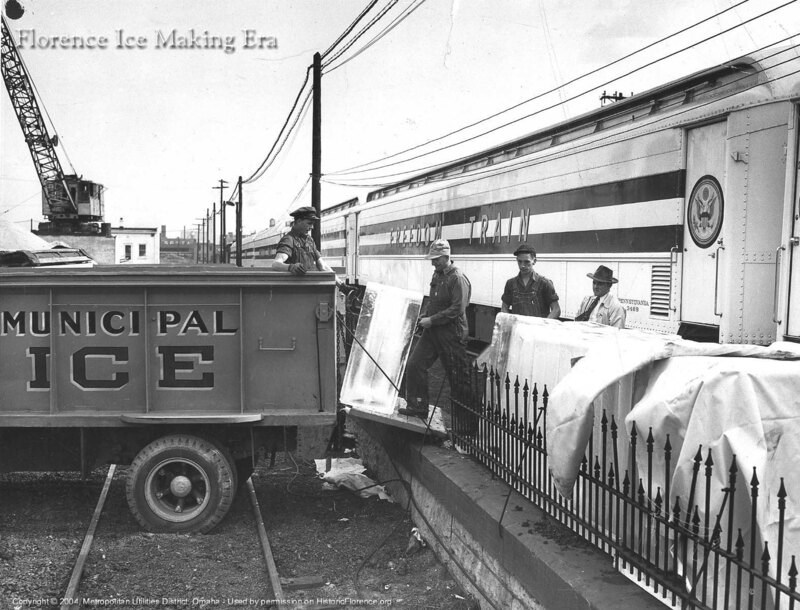 loads 300-pound cakes of ice on the Freedom Train in 1947. Railroad passenger cars required 2,000 pounds of ice daily for the air conditioning unit in each car. I guess no one could dispute that it was at least a one ton Air Conditioner.